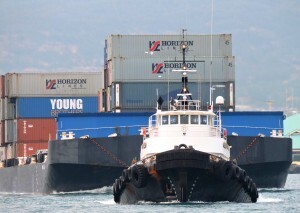 This particular vessel is one of the finest conventional tugs working today. Her triple rudders and responsive power make her extremely maneuverable for ship assist work as well as very capable of handling tandem tows in the extreme weather conditions often encountered in the Alaska trade. She is fully air conditioned and has comfortable accommodations for a crew of 10.